Chichester District Council has agreed to spend £20,000 on a civil engineering consultant to come up with a design solution for a vehicle washing site at Westhampnett. The council has a fleet of 68 vehicles and, in January, it was agreed in principle that £126,000 could be spent on the facility and its drainage work. At a meeting of the cabinet on Tuesday (September 4), members were told that the drainage work would not be carried out until the vehicle wash was installed, and a consultant was needed to accurately cost the work. It was agreed to meet the hiring costs out of the project’s £126,000 budget. Presenting the report, Roger Barrow (Con, Selsey South) told the meeting that staff were currently using hand-held pressure washers to clean vehicles used to collect recycling and domestic waste. But, because the existing drainage system was not capable of cleansing contaminated water, no detergents could be used. Mr Barrow added: “When a vehicle is inspected for MOT it’s a requirement that the engine bays and the chassis are clean, and we currently pay a third party contractor to provide that cleaning service. Eileen Lintill (Con, Petworth) said the £20,000 ‘seems a lot of money to me’, but John Connor (Con, Selsey North) felt it was not ‘unduly excessive’. 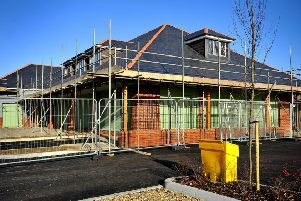 Over the past few years, the Westhampnett site has undergone major refurbishment work, including the development of a half-acre gypsy and traveller site and the addition of a new service road. Mr Barrow told the meeting that the gypsy and traveller site currently has a cesspit system, which was emptied by a contractor. He added that linking the drainage system to that site and into the Southern Water sewer would save the cost of the contractor. Questions were asked about whether the sewer could cope with the extra pressure, without having to be updated, but members were reassured that nothing would be done without approval from Southern Water. Mr Barrow also suggested that extra money could be made by providing a vehicle washing service to outside organisations. Officers will report the full cost of the project to the cabinet in January.